You’re finally leaving for vacation and you’re so excited to finally have a chance to relax. You’re glad to know that you’ll be enjoying the beach by the time the weather turns in a few days. If a big storm hits back home, your generator should switch on, but how can you be sure? One glance at Mobile Link tells you that your generator is running and protecting your home— even if the power goes out! Mobile Link cellular remote monitoring lets you get and share information about your home standby generator no matter where you are, using your computer, smart phone, or mobile device. View your generator’s status and maintenance needs. Set its exercise schedule. Review its running and maintenance history. And get notified of status changes. During that long business meeting, you can check the stats of your Mobile Link monitor via a free smartphone app! This app tells you that your generator is ready to protect your family at home if the power goes out. Because it sends data via cellular network, Mobile Link is easier to configure and more reliable than the Ethernet and telephone connections found in many competitive remote monitoring solutions. Best of all, the Mobile Link device can be installed in minutes. It’s super easy to set up the Mobile Link app on your cell phone or tablet to get specific, accurate data on the status of your generator. Simply select which notifications you wish to receive and how often you would like to receive them. Finally, you can opt to send maintenance alerts to your dealer so they can provide professional support, as needed. Don’t forget your parents and the elderly! You can designate up to 4 different accounts to receive email and text notifications, which is a great way to stay in contact with older parents or elderly loved ones. 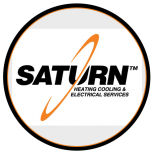 Contact Saturn Heating Cooling & Electrical to have Mobile Link installed on your generator.